Hey everyone, today I share the mic with Rodrigo Fuentes, CEO of ListenLoop, which zeroes in on account-based marketing for B2B companies. 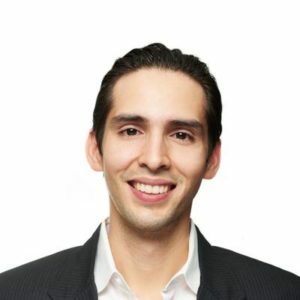 Tune in to hear Rodrigo break down how account-based marketing works, how a background in electrical engineering and law led him to a B2B retargeting startup, how one ListenLoop client saw a 22% increase in web traffic engagement with ABM, and what their most effective customer acquisition method is. Account-based marketing is a strategy that will target specific accounts and it can be segmented into different bio personas. Account-based marketing can be done alongside other advertising campaigns. The type of marketing campaigns you need depends on whether you’re a B2C or B2B company and the type of accounts you’ll be pursuing. Rod Fuentes: There's a lot of pressure to just grow, grow, grow. But it can also create unnatural pressures to do things that maybe the company isn't ready for. Narrator: Do you want to impact the world and still turn a profit? Then you're in the right place. Welcome to "Growth Everywhere". This is the show where you'll find real conversations with real entrepreneurs. They'll share everything from their biggest struggle to the exact strategies they use on a daily basis. So if you're ready for a value-packed interview, listen on. Here's your host, Eric Siu. Eric Siu: Before we jump into today's interview, if you guys could leave a review and a rating and also subscribe as well, that would be a huge help to the podcast. So if you actually enjoy the content and you'd like to hear more of it, please support us by leaving us a review and subscribe to the podcast as well. Thanks so much. All right everybody, today we have Rod Fuentes who is the CEO of ListenLoop. ListenLoop does account-based marketing in a B-to-B advertising platform. I'm actually going to let Rod talk about what that actually means. So Rod, how are you doing? Rod Fuentes: Doing great, full of energy. ABM is definitely a hot space, has been since about late 2015, and I think we're at that point now where we're past the hype curve and people are getting to down to business and really executing campaigns. That's been the trajectory we're seeing in the market over the last year. So you know, you pretty much nailed it. ListenLoop is an account-based advertising software and we primarily help a B-to-B marketer who wants to go after a specific set of companies that they need to sell to. They will give us that list, they will tell us what job title they want to target, and they'll give us their ads. We'll put those into the system, you'll tell us what marketing budget you want to put towards this per month, and our software does the job of placing ads directly on those target companies, on the job title that you selected as they browse the web. "New York Times", "U.S.A. Today" as they're looking at their news or etc. you're going to start hitting them with your ads. So that's what we're about and right now I feel like we're just harvesting a lot of the pent-up demand in the market for a tool like this. Eric Siu: Well, before we dive into the tool a little more, I mean, I want to get a little insight into your background and what's your background and how did you get to where you are now? was at the firm, so that's what really prompted me to jump two feet into the MarTech space. That was about five or six years ago and man I never looked back. It's a really exciting time to be in MarTech. There's a lot of stats out there about how the CMO is going to be outspending the CIO and you definitely feel that in the market. I'm 33. Eric Siu: Wow, so young. Okay so let's look at this right. So lets backup a second. So electrical engineer at Yale and then you said practiced for, learned how to become a lawyer at, you said Columbia? Eric Siu: Okay. So super smart guy and then now you're running this crazy company right now; excellent investors, some great investors as well. So I think one question I automatically pops up is, what's your process for learning? How do you go about learning all this new stuff right, because electrical engineer completely different from law. Rod Fuentes: What a great question. No one's ever asked me that. What's my process for learning? Personally I'm a very visual learner. For me, learning from audio listening is really hard and so if you ever see me in a meeting I'm usually furiously taking down notes of everything that I'm hearing, almost a verbatim copy or transcription of everything I'm hearing. And it has to do with being able to look at what I'm hearing because if I just hear it and don't process it visually, it just, for me it just kind of goes in one ear, out the other. So that's kind of very basic building block for me. Visual is very important. Lately I have found myself really drawn to courses on Udemy for instance or these video learning platforms because they're visual and audio and I can learn on my commute times in between work. So the kinds of things I'll learn on these platforms are marketing stacks, learn how to do [Milchen 00:05:15] hacks, Outreach hacks, Pardom, Marketo, HubSpot hacks, the way different people are using the platforms. Those are all different ways that I'm constantly learning to kind of stay up with the technology that people are using, that our clients are using. So, that's a big part of it. And personally, looking back at my law school days and even back at electrical engineering days, I wish there had been more of that because sitting in a lecture with a professor kind of telling you via audio right, in-person audio was really hard. And it's very interesting that the new generation of learners right, people who are in middle school, high school now, who might have a very different experience than what maybe you and I had coming into these education fields. college lecture hall where it's like hundreds of students. As a matter of fact, I slugged my way through college, but I just always hated it. But anyway, so let's talk about the company too. So I think you gave some kind of practical examples, but maybe there's a case study you can share where a company used ListenLoop and then they saw some amazing results. Is there anything that comes top of mind right now? Rod Fuentes: Yeah. I mean the one that comes top of mind, most recent one is a company called Engagio they're led by Jon Miller who's some call him the grandfather of account-based marketing. He was an early co-founder of Marketo. And yeah, so Charlie Liang there is the Director of Marketing and he used ListenLoop to combine and supplement their marketing activities with advertising to specific lists of target accounts. For them, the results were pretty interesting. What they were able to show is, let me back up. What their process and methodology was to expose a list of accounts to account-based marketing activities and then have a correlated group of, sorry not correlated, a similar cohort of accounts, not exposed to their account-based marketing activities. And then they further broke that down into not just account-based activities, but the individual activities that they were running. So advertising versus direct mail versus the other parts of their play that they were running. And they saw some really interesting numbers around increased engagement of the target accounts when these accounts were exposed to ads. So for example, accounts that were exposed to account-based market activities overall and were not exposed to ads had a 22% increase in web traffic engagement. So that's pretty good right? Just doing an account-based marketing approach period is producing more web traffic, that's great. But then when you added advertising on top of your account-based activities they were seeing a 43% increase in web traffic engagement from their target accounts, right, same for engagement via net new visitors, similar types of improvements. Without ads, 8% increase with just account-based activities, versus 47% if you were to layer in ads. So these are early indicators of success for an account-based program because at the end of the day, an account-based program has to do with engagement. The way a large corporation buys software nowadays or any large product is through a committee essentially of multiple stakeholders. And if you're not engaging them, then you're not going to be able to sell to them. They need to be involved with that process. Eric Siu: And by the way, we should probably backup a second. I'm sure some people are probably wondering, going through this podcast, what is account-based marketing? So maybe you can elaborate on that a little bit. you're putting messaging out there, attracting visitors with content, getting them into the funnel with a form submit, and then email marketing to them across the life cycle of their buyer journey. So to precisely define it, account-based marketing is a strategy whereby number one, sales and marketing teams are aligned on number two, a specific list of accounts that they want to go after, number three, you're using one or more communication channels to reach out to those accounts, and number four, you're measuring results of your campaign at the account level as opposed to the individual lead or contact level. So that's how we think of defining account-based marketing or an account-based strategy. And a lot of companies are, who are doing this well are seeing incredible results as a result of implementing their ABM campaign. Eric Siu: So when you say "account-based", when you say, "at the account level" versus "the individual lead level" you mean an account could be at the company level right, so a couple of people at Microsoft versus just one person at Microsoft? Rod Fuentes: That's correct. And here's why. I mean this example really sums it up in a nutshell. The new paradigm for people downloading content, reviewing content is the following pattern. When the CIO of Microsoft wants to explore some new technology that may be relevant to Microsoft, do you think the CIO is out there browsing the web and maybe individually downloading all these white papers and attending these webinars? No. The CIO is crazy busy right. Everyone's nipping at his heels for his time or her time and it's a cluster right. So what they're doing is that they're delegating that task to people on their team to do the research, to go out and download those white papers, and those e-books, and learn more and differentiate all the different vendors in the field for whatever software they're looking at right. And then that information is trickled, it's shared, it's socialized internally in a little committee or you can imagine them all sitting around in a conference room and a decision is reached over time right. So if you were to measure your campaign and said, "hey we're targeting so-and-so, the CIO of Microsoft, oh bummer, they never downloaded a form, I guess that campaign didn't work", that's foolish because the campaign may be working, but if you measure the results at the account level, Microsoft, oh interesting, the Director of IT actually downloaded and e-book and the manager of IT was looking at this, attended this webinar right. Now you're getting a more holistic picture about what the account is doing, multiple leads at a given account, and you get an idea how much the account is engaging as opposed to an individual person who may not have direct kind of last click attribution engagement with your marketing. Eric Siu: Got it, okay. So let's use a practical example. I mean, let's say we, let's continue with the Microsoft example. The sales team comes to the marketing team, they have a bunch of, maybe a list of emails of people they want to target, is that how it works? Eric Siu: I'm talking about ListenLoop specifically. Rod Fuentes: Oh you're talking about ListenLoop, okay specifically. So if you have a list of emails, you want to get the domains of the target accounts and preferably you want to get the specific location of where those contacts with sit. So ListenLoop does a lot of work on targeting your specific contacts and accounts in specific locations right, because Microsoft continuing that example, they've got dozens of locations around the world, lots of offices. If you know that you're going after the CIO, well, are they sitting in Seattle or are they sitting in Dallas, where are they? If you knew that, you could target your ads even more accurately at the set of contacts you want to get after. So, that's something we recommend that your list include. Most people have this information in their CRM already. When they create a contact in their CRM, it's got the person's email address, the website of the company where they work, and an address. So for most people this is already in their data set. So you take that data set, you throw it into ListenLoop, you give us your ad, you can put a budget in, and you're off to the races. Eric Siu: Great. And ads that people are creating, are they targeted towards that specific company? Is that how it's generally ... is that how the conversion rates go up or is it something else? Rod Fuentes: So the ads aren't generally targeted specifically to a company. ListenLoop does have a feature called "Pre-role Personalization" where we will add an animation on top of your ad that will specifically include the logo of the company that you're targeting in an effort to create personalization and more of a connection with the viewer, but generally speaking, in let's say the last 50 campaigns that clients have run through the ListenLoop system, the best practice and most common thing we're seeing is some type of ad that are segmented to the list of companies they're going after or segmented to the buyer persona that they're going after. So a concrete example is this, let's say you're Engagio maybe and you're targeting marketers right. Well you can imagine they might have two different buyer personas. One buyer persona might be a marketer and maybe like a VP of marketing type, and another buyer persona might be a VP of sales person right. So that being the case, you can imagine them creating two different sets of ads. One ad that has messaging that resonates with the marketer, and another set of ads that resonate with the sales person, and each have individual pain points that they're trying to address, that's one example. Now the other example is to segment across industries or companies. So if you have a list of let's say 1,000 accounts and 500 are in finance and 500 are brick and mortar locations, maybe like retail brick and mortar locations, then again, you could imagine segmenting your messaging, your ads, so that they speak to the buyers that are receiving this content. that specific audience. How is ListenLoop different from that, besides the personalization point? Rod Fuentes: That's it. Yeah that's a great question. Number one, we recommend that you do that anyway because we're using a different channel right. When people are on Facebook that's a different mentality. So, when you hit them with ads there that actually represents something different. When you use LinkedIn to do something similar, you know you're hitting them when they're in their sponsored update feed right. When you're using ListenLoop you're hitting them when they're on the website, an ad supported publisher site, like "U.S.A. Today", "New York Times", etc. So number one, if you have the budget and you have the capability and resources, I'd say do all three. Now if you have to pick one or the other, the relative differences are these, when you use a CRM retargeting tool like you've described, ie. upload a list of email contacts into an audience creator, what you're really doing is you're relying on let's say Facebook for instance, to have a cookie on file for a given email address right. Now typically the way that these companies and Facebook does this is that when you log into Facebook you're typing in let's say mine is you know, [email protected], and a cookie is being dropped on me when that happens. That cookie's then being associated to my email address and it's being renewed every time I log in from my mobile phone, from my desktop, and that's how they have that cookie on file. So now, if you were to target a CRM audience that include [email protected], that'll hit their database, they'll say, "oh yep, we've got a match, that's Rod, go ahead and start sending him ads because we've got an advertising cookie on him". So here's the problem. That all sounds awesome, it works really good if you're in B-to-C business to consumer marketing. Works fantastic. I mean like the match rates are 90%+. I've heard some providers claim 97% match rates. But here's the rub, if you're in B-to-B, the match rates can suffer. I've heard match rates of 25-35% depending on your segment in B-to-B, and that tends to make sense right, because are you using your business address to log into Facebook? I mean are you even using your business address when you created your LinkedIn account how many years ago? No. So like, that's part of the problem right. Not a lot of people are using their business email addresses for transactions online and so the coverage is naturally lower. So that's something that the industry is constantly trying to address because it's clear everyone wants that capability. And I think today the closest you can get, the probably kind of best match rates you can get for CRM retargeting is probably the LinkedIn system right, because there at least you can kind of visualize okay, some people are using their email, their business email to log in, some people are kind of including secondary, tertiary email addresses for their companies for their LinkedIn accounts. So you could start seeing a case for that there. Eric Siu: Got it. Okay. And for you guys, I mean, so is it basically like 100% or I mean what does it look like? Because I guess, how are you bypassing all of this? we're advertising to a specific account. Instead, we're using a method that we came up with, which we call a triangulation method. Essentially what we do is we take first party data that we've been collecting for three-and-a-half years, we take third party that we license from providers like BlueKai, Lotame, Bombora, etc., lots of different audience providers out there, and we also take geolocation data. So then we overlap these different data sources on top of each other. We take job title, audiences, we take firmographic industry audiences, we take geolocations. We overlap all these different data sources on top of each other and create a model for what is a tiny area of overlap between job titles, accounts, location, that represents let's say a B-to-B VP of marketing at or a goal in Boston right, and then that's how we're able to deliver ads. So we're doing an inference, it's a statistical inference that it is a given person, at a given account, at a given location, and with that, we're able to generate 70% match rates in North America. And then across all the campaigns that we've run, I think the match rate's about 62% when you factor in some of the international campaigns in the system. Eric Siu: So everyone else ... I've purposely asked a lot of specific questions so everyone can kind of, I think this is a massive opportunity right now. I think the fact that many marketers are talking about it, or not many are talking about it, that's even more of a reason to explore it. So I guess another question for you would be, what does pricing look like for this stuff? Eric Siu: For you guys. Rod Fuentes: -in general or ListenLoop in particular? Rod Fuentes: So ListenLoop's pricing is $99 a month, that includes targeting for 100 accounts that you want to go after and we only count accounts that have received impressions. So we're really friendly to just get in there, get started. I think the market right now is in an exploratory phase. Everyone wants to try it, everyone's very hesitant to sign up for a one, two-year contract right, and with good reason. It's not a new tactic, but the tools that are helping people deploy the tactic are new, like ListenLoop and others. And so people want to have that feeling of, "hey I want to dip my toes in, feel the water's warm, and then I'll jump in". So we're very friendly to that. Once you're targeting hundreds or possibly thousands of accounts, then you start getting volume-based pricing where if you're I think targeting 1,000 accounts is $.59 per account. So that's how you can kind of dip your toes in, get into it, run a campaign maybe 300, 400 accounts, see that it's performing for you, and then scale up, scale down as you need to. Eric Siu: And what's working for you today in terms of customer actualization? I guess, what's the one most effective thing? I'll keep it even simpler. Rod Fuentes: The most effective thing for us is, I mean I sure I sound biased, but it's account-based marketing. We go after specific sets of clients using a mix of channels. Every quarter we put together a list of target accounts and our sequence is basically the following; one, we start with ads, probably about one month in advance of two, an email campaign directed at specific contacts from top to bottom, from the manager to the director to the VP to the CMO, and then we follow up with phone calls on people who've opened up our emails at least three times. And then for the people we've had connections with and/or email replies from, we'll follow up with some direct mail, usually a postcard or a book that's relevant to their space as a thank you, as a follow up. And then the last piece of it is wherever we can, we try to meet these people at events; Marketo Marketing Summit, the Sales Force Dream Force, the HubSpot conference. So a lot of our users are hanging out at these conferences. Eric Siu: How are you managing this whole process? It isn't all through ListenLoop right? I mean how are you managing ... I mean you're meeting them in person, you're sending them postcards and things like that. Rod Fuentes: Yep. Yep. Just a lot of ... for me, for us, we're a small company right. We're six employees and for us, we're managing it through Google Spreadsheet. Yeah just coordinating all these different pieces of it, in terms of the direct mail, the this, and that, and the other. The email marketing piece, we use Outreach to manage that aspect of it, and the phone calls also go through Outreach. The advertising of course is happening through ListenLoop. And the events, the events are the piece, the direct mails and the events are the pieces that we're using Google Spreadsheets to kind of manage that, make sure that those are being sent out to whom, etc. Eric Siu: So next question I have for you is around the struggles growing this business. I mean, what's one big struggle you've faced? Rod Fuentes: I think the biggest struggle we've faced at the very earliest, when we first began the business was making sure you had product market fit. Three, four years ago I feel like I was still a young entrepreneur, not in terms of my age, but in terms of my years of experience in entrepreneurship, and if you follow along the culture of entrepreneurship and startups, there is a lot of pressure to just grow, grow, grow and that is definitely good. Your audience will resonate with that. Everyone feels it. That is a positive part of the startup mentality. But it also can create unnatural pressures to do things that maybe the company isn't ready for. use, the proper sequence you would use is to build the product, measure retention, measure engagement, measure usage, demonstrate that it's providing value to the end user, the client, demonstrate that they fricking love the product, that to use the kind of Shawn Ellis metric of product market fit. Yeah 40%, you tell them like, "hey we're going to go away and the 40% are crying about it, then awesome, you're on the right path" right. And then, then you hire up sales people. You start just selling the heck out of the product and marketing and just go all out and then you have those sales metrics in place, then you go out to the markets and you show this to investors and they shower money on you. Eric Siu: I guess a question would be, when you talk about the product market fit, I mean you're kind of, you're doing a lot of customer development in that phase aren't you? Because you have, I guess the question would be, how many customers did you have at that time, and then when you ran that survey you're like, okay let's go ahead and go all-in right. Because I'm assuming at that time you don't have any customers right? Rod Fuentes: Yeah. Yeah you always suffer from a low sample size problem at the early stage of a startup, no doubt, unless you're doing free-user, then that's a whole other ball game. But I think at the point, at the time when I'm kind of having this memory of, I think we maybe have 30 or 40 clients, which is probably just above okay in terms of sample size right. Like central limit theorem says 30 sample size is just about good to draw some kind of statistical inference. So it was right around that number. But the point of the story that I want to kind of nail down is, that is the correct path to do it, very few people have the opportunity to do the correct path right, because there's tons of other pressures impacting your decision such as, "hey we're going to run out of money, we don't have infinite resources and infinite time to do this in, we've got eight months, we've got eight months to figure out product market fit and that's because we need four more months to sell the hell out of it, and then we either show the metrics that we need to have" right. So that pressure to grow and to show product market fit can create decisions where we were faced with having to do two things at the same time. We had to sell the heck out of the product and we had to basically have a leap of faith that the product we were then building had product market fit de facto, and if it doesn't, then we're dead right. And so that's tough because at that time in 2014 I'd say we were wrong right, looking back on it. We sold the product and it didn't have that 40% number and 40% of people were not going to be disappointed when we told them, "hey we're going to have to tuck this away". And yeah, there's a small customer base, this is a feedback software used to collect feedback inside of a product, inside of a software product, and that's a really tough pill to swallow. That's really hard to do, to force yourself to make those two independent bets right; to sell it, and to assume you have product market fit. And the pressures of growth and the pressures of limited time and resources will do that. Eric Siu: One hundred percent man. Cool, thanks for sharing that. Final question from my side, what's one must-read book you'd recommend to everyone? Rod Fuentes: Must-read, I think everyone's already read it though, so I don't know if that's going to be very useful. I think everyone absolutely needs to read "The Hard Thing About Hard Things" by Ben Harowitz. I mean that book is just a treasure trove of advice and future wisdom that I'm sure I have not used all the wisdom that's in there yet, but it's in there. It's like a field book for the trench warfare that startup founders find themselves in. Eric Siu: I think it's time for a re-reach just because I think just you saying that and somehow sparked some kind of reaction where it's like you should re-read it now. So I might just take it off my bookshelf and do that. Eric Siu: But Rod, this has been great. Everyone should check out ListenLoop FYI, but Rod, what's the best way for people to find you online? Rod Fuentes: ListenLoop.com and my email is [email protected] You can find me on LinkedIn, on Twitter, and I always love chatting with other entrepreneurs, founders, and marketers. So if you want to start a conversation online via LinkedIn we can trade some tips, some advice, I always love answering questions from the community. Eric Siu: I appreciate it. Thanks for doing this Rod. Narrator: Thanks for listening to this episode of "Growth Everywhere". If you loved what you heard, be sure to head back to growtheverywhere.com for today's show notes and a ton of additional resources. But before you go, hit the "subscribe" button to avoid missing out on net week's value-packed interview. Enjoy the rest of your week. And remember to take action and continue growing.